We have published a huge collection the media player AIMP from version 1 to version 4. You able to downgrade to the version you love. The AIMP project was started in the summer of 2007 and actively developing. 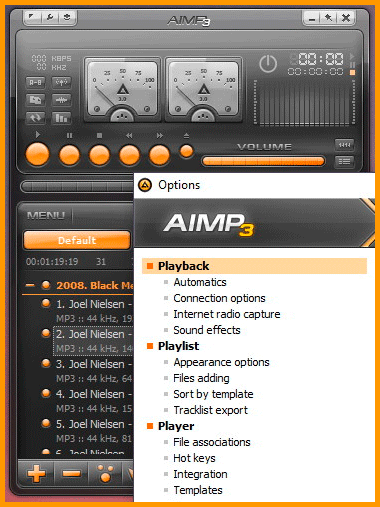 The AIMP player looks and behaves in many regards as Winamp, one of the most popular and classic music players for Windows. For regular use, download the most current version from the main page. If you are fed up with your current music player, I strongly suggest you at least try the AIMP media player. You could install it or run in portable mode to see if it fits your personal requirements before you replace your old player with it. Information about archived AIMP Player version and links to download. You able to downgrade to the version you love.